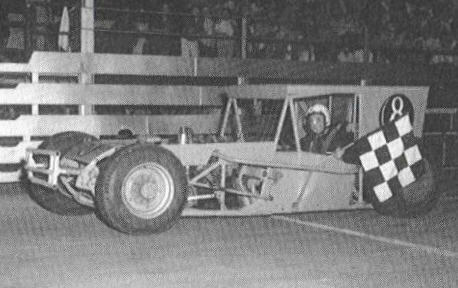 Jim Liccardi thumbed through the Don Kranz & Bill Hartwell photos in George Caruso's Oswego 50th anniversary book (available at Oswego's website) and did up this excellent summary of Jim Shampine's Supermodifieds. 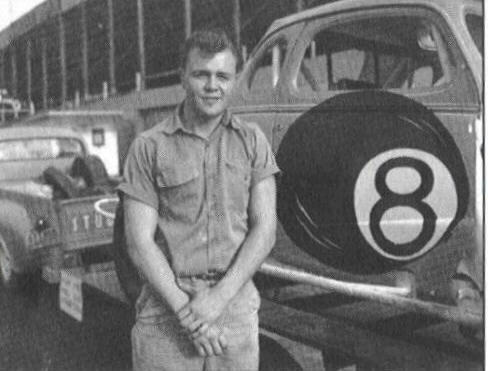 Jim writes in, "Dan, I've noticed that in some of the photos the dates or the sequence of cars are wrong for Jimmy Shampine, so I've gone through and put the cars in the order of which they appeared at the track along with a brief history and where the car ended up if I knew." Also, I've added some more B&D Photos sent in by Carl Staiger and posted already in the Photo Archive. If you have any old pictures of Jim or other information, we would love to add it to this page. Please send them in to RetroRockets and for pictures, please include a description, if possible. This is opening day 1962, at Oswego Speedway. 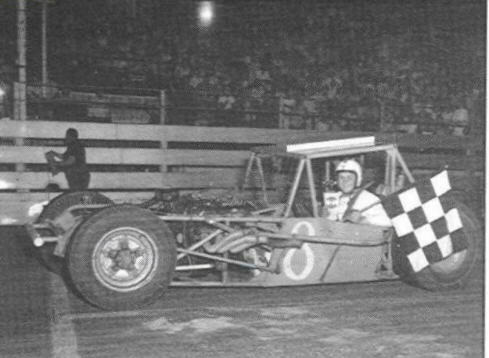 "Rookie" Jim Shampine purchased 1961 Championship car from his mentor and friend, Nolan Swift, to try his hand at racing. Little did we know then what the future held and what he would do for racing in general, let alone Oswego Speedway. 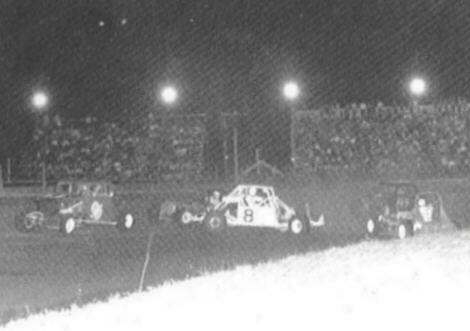 1962-Jim is the white car in the center, he took the body off the old Swift car to run a little faster and to try to look more like the new supers that were just starting to come to Oswego. He ran this car to the end of the 62 season. 1963-This is the first car that Jim built himself. He also started the traditional color of "Desert Turquoise", an old Ford color that he liked. This was his first race win, it was a semi-final. The history on this car will amaze you. (Just keep looking at the frame and body work around the motor and rollcage/cockpit area). 1964-This is still the same car. He changed the body to the popular "woodshed" style of the day, . His best finish for '64 was a third place, the best was yet to come.